Vossloh developed the Flexis System in order to meet the special requirements involved with switch maintenance. The machines reprofile the entire turnout and are highly flexible. They are compatible with all international track gauges (light rail and standard gauge) and can be on-railed and off-railed very quickly. Flexis can fulfill the all the maintenance requirements of a turnout: everything from the initial removal of mill-scale to preventive grinding and the removal of defects such as skid spots, head checks and corrugations. This increases the rail’s service life considerably, while at the same time reducing its failure susceptibility and noise emissions. Flexis is a system for machining a rail’s cross-sectional and longitudinal profiles. It is used for both preventive grinding and for removing defects that already exist, particularly on turnouts. 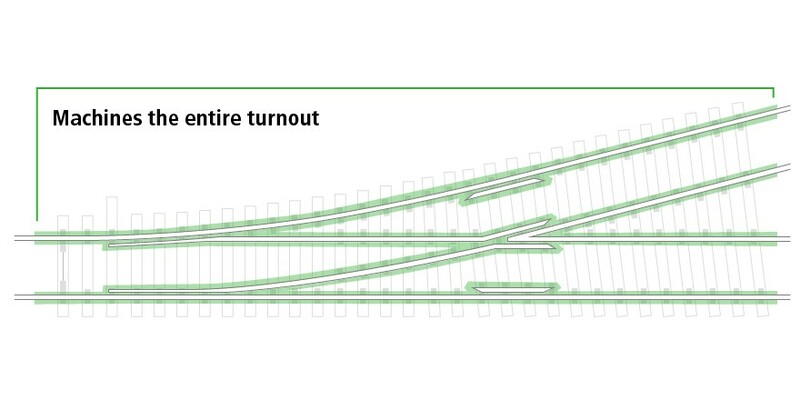 A turnout’s condition is carefully analyzed before machining begins in order to determine how much material to remove. The grinding work is then done in a series of passes. The Flexis System can machine an entire turnout including the frog and the point blades, which larger machines cannot access. There is no need to disassemble rail switching equipment or any other trackside fittings, so railway traffic operations can resume immediately after the machining work has been completed. The Flexis System stands out thanks to its short track possession times, flexible handling and precise surface machining. There’s no preparation work necessary and turnouts and rails can be vacated in a matter of minutes, which allows the machining work to be done without disrupting the timetable. Moreover, the material removed corresponds exactly to calculated requirements. The end result fulfills all the requirements of the Deutsche Bahn AG. Entire route sections including moveable frogs can be machined using Flexis in combination with HSG trains. 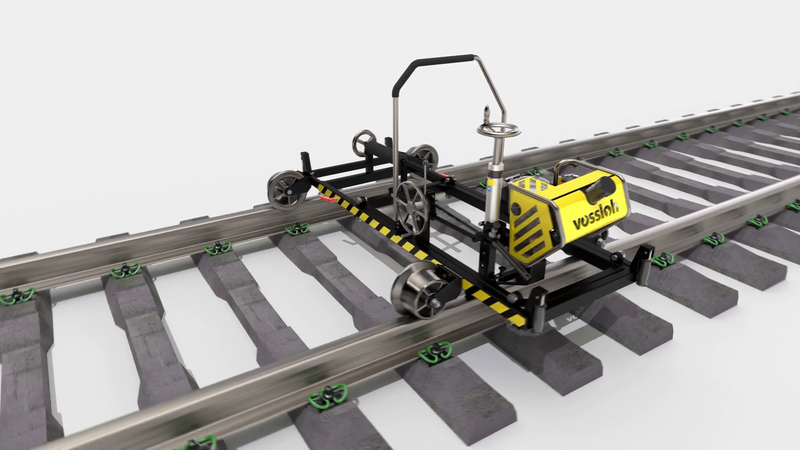 Many of our customers are already taking advantage of this all-in-one solution, a package that reduces track closures to an absolute minimum.